Custom Photo Labels - Personalized Labels the Way You Like. 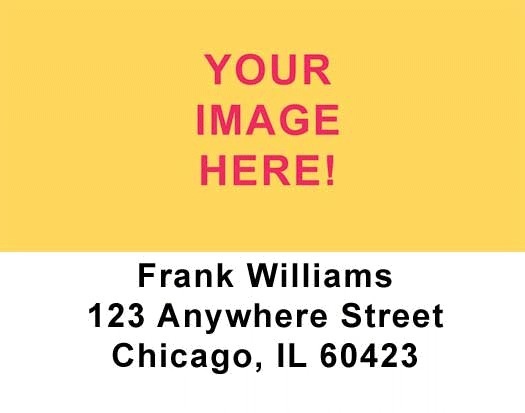 "Custom Photo Address Labels" product is already in your cart. Put your own Photos on your Address Labels. Have as many Photos as you want rotating on your labels. Each extra Custom Photo is at a setup charge of $ 1.50. As always, these custom photo labels are available at our everyday low prices. Don't forget to purchase your matching personal checks! Address labels are easy to use simple self adhesive identification. It saves time. You do not have to manually put in your personal identification to each of the mails or envelop or any official stationeries that you handle. In your customize photo address labels you can put in the image or the photo of your choice. The set-up charge is cheap. You can stay assured of the fact that these copyrighted images of your company will not be used at any case, in any of the future orders except for you. You are the only copyrighted sole proprietor of the photograph. You can upload your photo at the company website for placing your order.